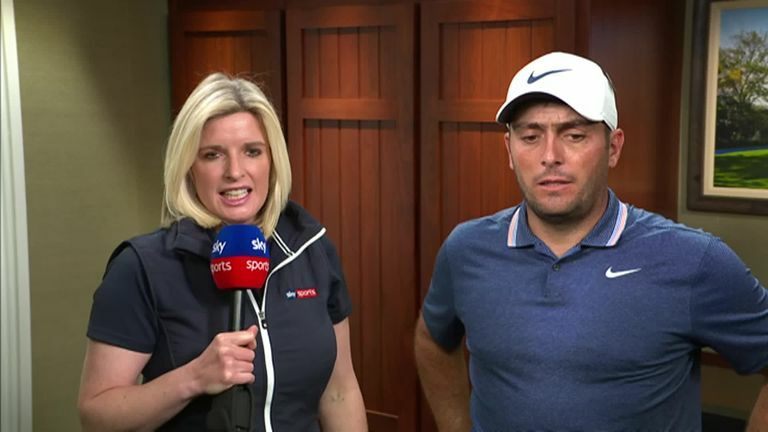 Thirteen years after acting as caddie for his brother at Augusta National, Francesco Molinari found himself tied for the lead at the Masters after a second-round 67. The Italian's remarkable transformation seemed "miles away" to him back in 2006, but he is once again in contention for a major championship after his bogey-free round lifted him into a tie at the top on seven under with Jason Day and Brooks Koepka. Molinari has been in stunning form since finishing runner-up to Justin Thomas at the PGA Championship in 2017, finishing no lower than 25th in the four majors last year and, of course, landing a memorable win at The Open in July last year as he held off fierce challenges from Tiger Woods and Rory McIlroy. 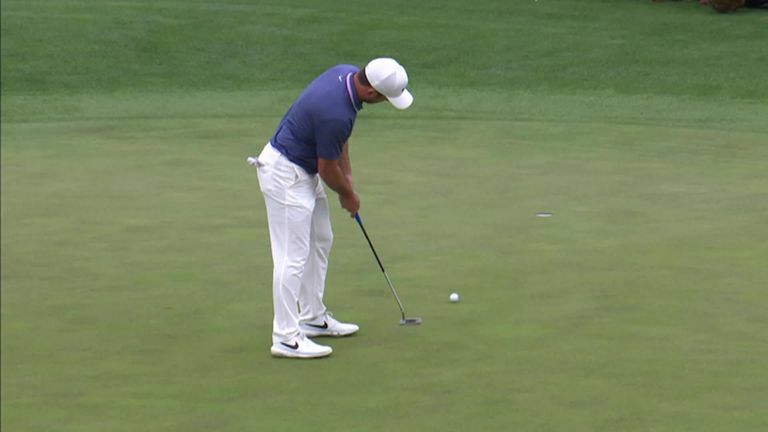 A solid, opening 70 at Augusta National on Thursday gave him encouragement for his earlier start on day two, and he carded five birdies while keeping mistakes at bay to set the target in the clubhouse. When asked afterwards if he felt he would be contending for a Green Jacket while carrying Edoardo's bag in 2006, the Ryder Cup record-breaker said: "No, miles away. I mean, I was only starting. It was the beginning of my second season as a pro. "But it was a great motivation to see how good the guys were and, at the same time, how much I needed to improve to hopefully one day get here. At the time, to be honest, the goal was to maybe only be once in my career at Augusta, already would have been an achievement for me. "It was a great experience. I didn't learn a lot, to be honest, about the course, because we were going sideways most of the time! But yeah, it's not great fun to caddie around here, I can tell you that." Molinari admitted his performance at the 2017 PGA gave him a huge confidence boost which was evident in his career-best year last year, which yielded three wins including The Open before he went on to become the first European player to win all five of his matches in the Ryder Cup. "When I finished second in Quail Hollow at the PGA, that obviously was a big moment for me at the time," he added. "At the beginning of last season, even if the results were not amazingly good, I could see that I was hitting the ball longer. I was hitting the ball generally better, higher, and the putting was starting to improve. "When it's your own game, you start to see signs of the improvement even before it shows in the results. You know, I can't say I was expecting this kind of results, but I was definitely expecting to play well."